AGL’s controversial Liddell coal power station in the NSW Hunter Valley generates 50 times as much electricity as the Moree solar farm in the state’s north, which stands to gain big subsidies from households from higher electricity bills until 2030, as the government vows to ease the pressure on prices. 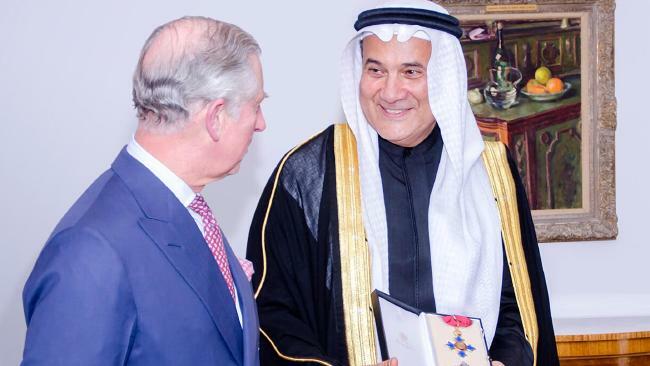 The project’s owner, Mohammed Abdul Latif Jameel, is ­expanding into new solar farms across Australia after the federal government backed the first ­development with grants and concessional loans as well as guaranteed credits for more than a decade. The scale of the financial aid has triggered calls to scale back the subsidies as Nationals MPs warn that jobs will be sent overseas if Australia does not find a way to drive down energy costs. Scott Morrison challenged Labor late yesterday to drop its “coal veto” when the energy plan goes to parliament, arguing new measures will be needed to extend the life of Liddell and other power stations to bring stability to the electricity grid. The Treasurer said the government wanted a “durable” outcome in parliament on the investment rules for the ­energy sector but did not say this would be a clean ­energy target, the proposal put forward by Chief Scientist Alan Finkel. 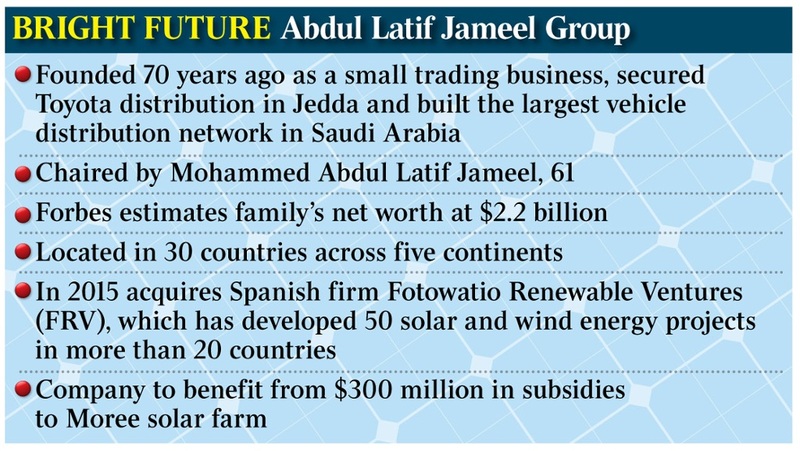 The company that owns the Moree generator, Abdul Latif Jameel Group, is building a solar empire on the profits from its long history as the sole distributor of Toyota vehicles in Saudi Arabia. The businessman’s son Hassan Jameel with his romantic partner Rihanna. The owner’s son, Hassan Jameel, runs a charity tied to the conglomerate and has been ­romantically linked in recent months with singer Rihanna. The Australian yesterday reported that AGL stood to receive $589m from the grants and subsidies for two solar projects over the period to 2030, although the company questioned the forecasts on the grounds that the renewable subsidies would fall in the next decade. Malcolm Turnbull and his cabinet ministers are yet to decide whether to continue the assistance for solar and wind projects after 2020, when the existing ­renewable energy target is closed to new generators after years of controversy over the size of its subsidies. 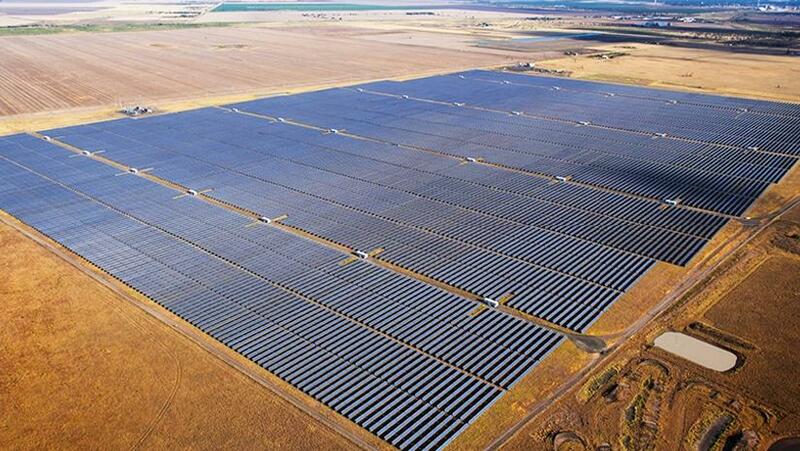 The Abdul Latif Jameel Group bought the initial Spanish owner of the Moree solar farm, Foto­watio Renewable Ventures (or FRV), in 2015 and is now expanding with the Clare project near Ayr in Queensland and two developments at Tieri and Baralaba in the same state. FRV Australia declined to respond to questions about the level of the subsidies and whether it supported a clean energy target. The Australian’s analysis of the payments to the Moree project are based on an $80 value for renewable energy certificates until 2020, in line with current market prices, and a $60 value over the decade to 2030. The total amount handed to the company falls to about $250m if the value of the RET certificates drops to $30 over the next decade. It falls to $200m in the unlikely event the certificates fall to zero from a glut of renewable power. Peta Credlin, a former chief of staff to Tony Abbott as prime minister, called on Mr Turnbull last night to suspend the RET immediately, but the Senate has refused to agree to this option in the past and the payments to Moree and AGL are set in law. The 150,000 megawatt hours of electricity from the Moree solar farm are about 2 per cent of the 8000 gigawatt hours from Liddell, highlighting the difficulty in replacing the coal power station when it is due to close in 2022. Dr Finkel yesterday repeated his call for a clean energy target, saying the states would go ahead with separate plans unless there was action by Canberra. AGL chief financial officer Brett Redman said solar costs were falling so quickly that the company would build solar rather than coal even if there was no emission reduction target. The government has prioritised reliable power supply with a framework that could offer incentives for gas and possibly coal power that can be delivered at any time, rather than expanding the subsidies for renewables. NSW Nationals senator John Williams said the payments to the Moree project showed that ­renewables had to “stand on their own two feet” in the future. The Nationals MP whose electorate includes the Moree farm, Mark Coulton, said the subsidies highlighted the argument the ­Coalition was now having over energy policy. Former Queensland Nationals senator Ron Boswell has named the Moree project as an example of the “staggering” amount of the subsidies. Ron Boswell: still a Champion for the people. AGL’s claim that it’s prepared to build massive solar plants without subsidies is, of course, utter nonsense. Neither AGL, nor any other wind and solar power outfit, has ever advocated for the removal of subsidies, mandates or targets. And, irrespective of how cheap a solar panel might become, why would they? This is the greatest single industry subsidy scheme in the history of the Commonwealth, which has cost power consumers $15 billion, so far, and will cost nearly $45 billion between now and the expiration of the Federal government’s Large-Scale RET in 2031. That those subsidies are being filched from AGL’s customers and delivered to Saudi billionaires is nothing short of an economic crime and a moral outrage. One who shares STT’s sense of outrage is Ron Boswell: a Queensland Nationals Senator from 1983 to 2014 and leader of the Nationals in the Senate for 17 years. In cities, towns and small communities across Australia, surging energy costs are destroying businesses and family farms, and reducing the living standards of ordinary Australians. Hardworking Australians are losing their jobs through no fault of their own. Millions of pensioners and working families are being forced to ration their energy use. There is a real prospect of blackouts over the summer. That’s why the federal conference of the Nationals passed a resolution to stop dishing out subsidies to renewable energy. In recent years, the renewable energy target has delivered subsidies of about $9 billion to renewable projects. And over the next 13 years, renewable projects will receive another $36bn. That’s about $53 million every week between now and 2030. And who pays for these subsidies? Households and businesses. More than any other policy action before or since, the RET is responsible for today’s energy mess. Force-feeding high-cost, unreliable energy into the National Electricity Market killed off any investment in baseload energy and made the grid more expensive and more unstable. Unfortunately, we can’t tear up the RET — those subsidies are locked in by legislation. We are told that removing these subsidies now would pose a sovereign risk to investors. But we do have to stop the rot. The simple fact is that a new clean energy target would simply be renaming and extending the RET. It would deliver billions in subsidies over the next decade, mostly to renewable projects. At a CET certificate price of $60 a megawatt hour, wind and solar will receive consumer subsidies of $60/MWh, while a new, ultra-supercritical coal plant would receive just $3.75/MWh. The problem is that a CET values emissions intensity but not security of supply. As a result a CET is heavily weighted towards unreliable renewable energy and fails to recognise the necessity of baseload energy. The Finkel review effectively conceded this, arguing that under a CET renewable energy would more than double to almost 42 per cent. So why would we do another RET? I’ve been around long enough to know one thing: when you make a mistake, you don’t fix that mistake by repeating it. 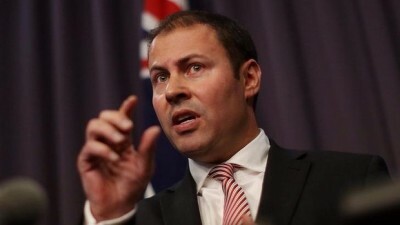 It is also telling that big energy generators such as AGL and EnergyAustralia want a CET. These companies say that renewable energy is now cheaper than coal or gas. But they still have their hand out for more subsidies. The biggest surprise to me is that anyone takes any notice of them. They’ve enjoyed subsidies to build their wind farms and large-scale solar farms for a decade. And now they want more subsidies for another 15 years at least. And they don’t have the courage to tell their customers that they are the ones who will be paying for these subsidies. AGL and EnergyAustralia will pocket the subsidies, pass on the costs to electricity users and run more feel-good ads on television — that’s win-win-win for the big generators and lose-lose-lose for people already struggling to pay their power bills. The CET will simply add billions in new subsidies. And someone has to pay for it. And I am not sure how a subsidy for new energy generation paid for by consumers makes energy cheaper for those same consumers. Besides, subsidies end up wrecking markets. The subsidised producers drive out the competitive suppliers. If a wind farm gets guaranteed market share and an $60/MWh subsidy it is going to drive out lower-cost competitors such as gas and coal. A good example of the staggering scale of renewable subsidies is the Moree Solar Farm in NSW. This project has received a $102m taxpayer grant and a $60m taxpayer-funded concessional loan, and will receive $141m in production subsidies (by 2030). Is this a good investment? No. In the next 13 years, the project will receive more than $300m in subsidies but deliver about 1/68th (or 1.45 per cent) of the output of the Hazelwood power station that closed in Victoria earlier this year. Some critics will argue that without a CET, we will fail to meet our emissions reduction targets. This is wrong. Modern coal-fired power stations can deliver affordable and reliable energy with much lower emissions. This is what is happening around the world: hundreds of new power stations providing low-cost energy, including from Australian coal. And upgrades of existing power stations can also make big emissions savings. This is not to say that investment in renewables will stop. Advocates of renewable energy say renewables are cheaper than new coal or gas-fired power generation. If that’s the case we don’t need a new subsidy scheme like the CET. A very solid article from Ron Boswell. However, a few of his numbers are a little on the low side. The Renewable Energy Target (including the small-scale scheme ‘SRES’) has added over $15 billion to retail power bills, to date. And the subsidies and fines payable under the LRET will add more than $42 billion to retail power bills between now and 2030 (not $36 billion, as Ron suggests). 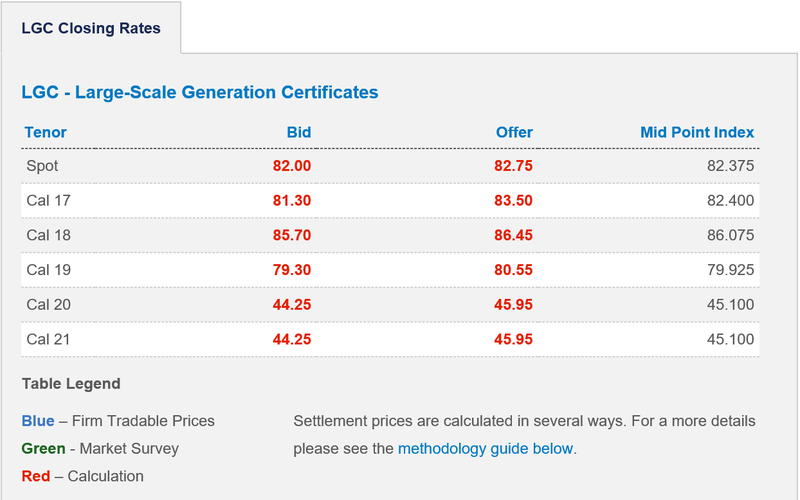 Where Ron talks about a CET certificate at $60 per MWh, the RECs awarded under the LRET are currently trading at $82 per MWh (see above) and are designed to trade at $93. The LRET target is set by s40 of the Renewable Energy (Electricity) Act 2000. At the present time, the total annual contribution to the LRET from eligible renewable energy generation sources is around 16,000 GWh (depending on the weather, of course). While there has been an increase in wind and solar capacity, the addition to output is always weather dependant and the volume increase delivered has been marginal. In the analysis below, we use the 16,000 GWh figure. If that increases over time, it simply means the proportion rewarded as RECs increases relative to the shortfall penalty imposed: the total cost to power consumers is the same. The REC price is, due to the impact of the shortfall charge, expected to hit $93, and, due to the taxation treatment of RECs versus the shortfall charge, the full cost of the shortfall charge to retailers is also $93. RECs are tax deductible as an expense; the penalty is a fine and, therefore, is not tax deductible. Retailers, including Origin, have indicated to STT’s sources that they will be recovering the full $93 cost of the shortfall charge. Using that figure applied to the current LRET target, we’ll start with the cost of the shortfall penalty. The large-scale generation shortfall charge that is payable under the Renewable Energy (Electricity) Act 2000 is imposed by this section. (1) The rate of charge is $65 per MWh. In the table below, the “Shortfall in MWh (millions)” is based on a total contribution to the LRET from eligible renewable sources of 16,000,000 MWh (1GWh = 1,000MWh). The LRET target is, likewise, set out in MWh (millions). Between 2017 and 2031 the total target could be satisfied by the issue and surrender of 449.762 million RECs. However, assuming that only 16 million RECs are available annually there will be a total shortfall of 225.762 million; with only 224 million RECs available to satisfy the remaining 449.762 million MWh target over the life of the current LRET. Under the current LRET, with RECs hitting $93 as the penalty begins to apply, the total cost added to power consumers’ bills will nudge $42 billion (449,762,000 x $93), as set out in the table below. It’s power consumers that get lumped with the “retail price of electricity” and, therefore, the cost of the REC Subsidy paid to wind power outfits. The REC Tax/Subsidy, including that associated with domestic solar under the original RET scheme, has already added more than $15 billion to Australian power bills, so far. At the end of the day, retailers will have to recover the TOTAL cost of BOTH RECs and the shortfall charge from Australian power consumers via retail power bills. And that’s the figure we’ve tallied up in the right hand column – which combines the annual cost to retailers of 16 million RECs at $93 (ie $1,488,000,000) and the shortfall penalty, as it applies each year from now until 2031, at the same ultimate cost to power consumers of $93. Whether it’s RECs being generated by current (or additional) wind or large-scale solar power generation, or the shortfall charge being applied, retailers will be recovering every last cent of the combined costs of BOTH from all Australian power consumers through retail power bills: we are, of course, talking about AGL and not the Salvation Army. Alan Finkel’s Clean Energy Target is, in effect, a 42% RET, which would be dominated by intermittent wind and solar. Federal Labor’s 50% target would automatically double the current LRET Tax/Subsidy/Penalty (set out above) to a lazy $90 billion or so. To build wind power capacity to meet a 50% target requires more than 12,000 of these things and a completely duplicated electricity grid. 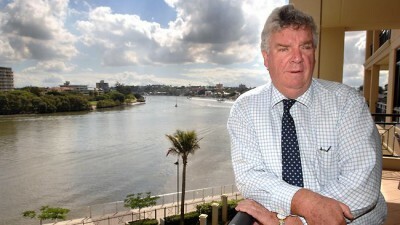 Even satisfying the current 33,000 GWh target – will cost at least a further $80-100 billion, in terms of extra turbines and the duplicated network costs needed to hook them up to the grid: all requiring fat returns to investors; costs and returns that can only be recouped through escalating power bills: Ian Macfarlane, Greg Hunt & Australia’s Wind Power Debacle: is it Dumb and Dumber 2, or Liar Liar? In the post above we looked at the additional costs of building the wind power capacity needed to avoid the shortfall penalty – including the $30 billion or so needed to build a duplicated transmission grid. That is, a network largely, if not exclusively, devoted to sending wind power output from remote, rural locations to urban population centres (where the demand is) that will only ever carry meaningful output 30-35% of the time, at best. The balance of the time, networks devoted to carrying wind power will carry nothing – for lengthy periods there will be no return on the capital cost – the lines will simply lay idle until the wind picks up. GEreports: Can Australia now learn from any other country in how to encourage renewables? Peter: Oh yeah, certainly. I mean, I think China’s perhaps an extreme example, but the point is that you put a firm policy in place, and you take it seriously, you unleash infrastructure bottlenecks to allow it to happen, and it will happen. GEreports: What are Australia’s infrastructure bottlenecks? Peter: Quite often there are concerns about grid stability if you have large numbers of renewable plants out there. You can fix all that if you really are honest about wanting to increase the level of renewables in the system. There are technical fixes to all of this. GEreports: Can you give me an example? Peter: Ultimately, what you might have to do is what they’ve done in Texas, which is get out there and build a new grid – big backbone powerlines – and then the wind turbines come. The problem in Australia is we look at a big windy area and say, “Oh, look, it hasn’t got any grid.” No individual developer can afford to build grid, so it doesn’t happen. GEreports: The government should do that? Peter: They could if they wanted to, or they could step up and put in place the mechanism to encourage someone else to do it. Australia has stepped back from that sort of planning of the grid. The government used to own the grids, and we’re pulling back from that. And that’s fine. It’s not vital that you own it. But you do have to have a plan and send the right signals to investors that you’re serious about the plan for them to be able to risk investing. And that’s a critical question. Let the private sector do it and I think you’d probably drive your best result, particularly in an economy like Australia. But, you do need the certainty, and the reason things have stalled in Australia is not because it’s too hard or because there’s planning issues or anything else. It’s simply that people cannot be certain at the moment that the renewable energy target will still be binding on those liable under it, so people pull back from investing. Too risky. Network owners have no incentive to build the whopping additional transmission capacity required to accommodate new wind power capacity; and nothing like the capacity needed to send a further 17,000 GWh into the grid to meet a 33,000 GWh target, let alone Finkel’s 42% CET/RET or Labor’s 50% target which more than doubles that figure. Earlier this year, the hapless South Australian Labor government was begging for taxpayers in other states to stump up around $4 billion to build extra interconnectors to direct reliable coal-fired power to SA from Queensland, NSW and Victoria – in an effort to avoid more of the load shedding and State-wide blackouts that are caused by routine wind power output collapses. But, funnily enough, SA’s neighbours didn’t seem that keen to bail them out. Moreover, even if investors were prepared to – in a Field of Dreams, “build it and they will come” moment, of the kind suggested by GE – throw money at a duplicated grid, the returns demanded by those investors can only be recovered from retail power customers – providing yet another good reason to wreck the LRET and the wind industry with it. The political contest between the status quo, Finkel’s 42% CET and Labor’s 50% RET leaves Australian voters with one of Maggie Jacob’s rhetoricals. It’s a conundrum for Australian voters, to be sure. voters buying his ‘it’s all Labor’s fault’ line. Insanity is odds-on. Power Bill versus Turntable. The argument that sovereign risk to investors must be considered when discussing rescinding the RET seems odd. What consideration did they give to sovereign risk to investors in coal fired power plants when instituting the RET. None, I believe. The same should apply to investors in renewables. They took the risk and they should pay for their mistake. The government is not in the business of bailing out poor investments! It seems to me that “while a new, ultra-supercritical coal plant would receive just $3.75/MWh.” is incorrect, a factor of ten out. That cost is too low even for a KWh. It would be very nice to have electricity at that price, wouldn’t it. It would deliver billions in subsidies over the next decade, mostly to renewable projects. At a CET certificate price of $60 a megawatt hour, wind and solar will receive consumer subsidies of $60/MWh, while a new, ultra-supercritical coal plant would receive just $3.75/MWh. Ron Boswell is talking about the subsidies available under Finkel’s CET, not the absolute price of coal-fired power from HELE plant. That would be in the order of $38 per MWh, but that is not what Ron Boswell is talking about. Everything being offered by Governments and industry is at a cost to be paid by the end users. We will be paying for the REC’s, paying for the post and wires, increased tax’s to pay for the impost of higher energy costs on government services such as hospitals and schools. Prices will go up across the board – the GST will be nothing compared to the on costs across the board as energy prices continue to rise – not even fresh food will be immune. Governments will have nothing left to increase Pensions and offer subsidised fees to those on fixed incomes. Employers will not be able to even consider increasing their employment base or consider needed pay rises. That is if they can continue to operate a business. We will go into stagnation moving towards depression as a Nation with no future to look forward to. This is already happening, but there are those who have tunnel vision and incapable of seeing what is going on around them. The Lucky Country will have been destroyed by ignorant self-serving idiots who will still sit there crying about the need to reduced emission even when we are not producing any. All because they are stubborn and find it impossible to accept they are wrong and life will continue if we do not reach a mandated level created and signed off on without any thought of how to achieve it without damaging the Nation. If I can imagine the future damage why can’t they? Is it because they are so conceited and full of their own importance they cannot accept others might actually be more capable than they are. End-game for the renewables fraud.